JHU faculty, students, and staff have access to Artstor and its more than 2 million images, including almost 77,000 images within open-access public collections, plus the 160,000 local images in the JHU Visual Resources Collection. Here Doctoral Candidate Emily A. Margolis discusses how her research led to new images being added to the JHU Visual Resources Collection in Artstor. “Before NASA had finished constructing the Kennedy Space Center (KSC) the American public was clamoring for a glimpse inside. The Moonport, as it was known, would be the point of departure for the world’s first lunar explorers. 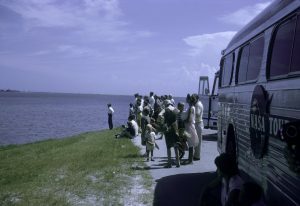 In the summer of 1966 NASA instituted a public bus tour program, which welcomed over half a million visitors within the first year of operation. 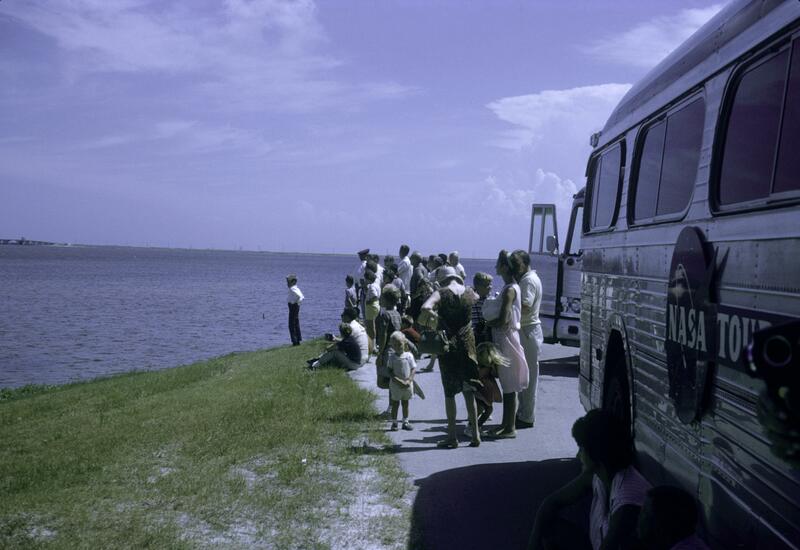 My research examines the historical relationship between the American public and its space program through a study of KSC visitor programs during the Cold War. I ask: How did NASA choose to represent itself and why? What hopes, expectations, and concerns about space did visitors have? What did they take away from their visit to the space center, and how did this change their understanding and valuation of the space program?